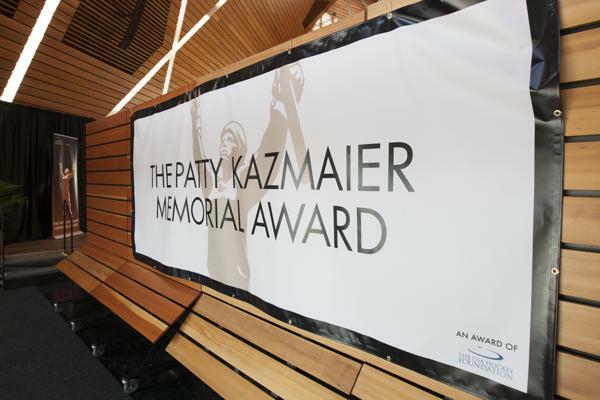 Northeastern standout goaltender Aerin Frankel views candidates for the Patty Kazmaier Award as players who are consistent on and off the ice, known for their passion for the game and looked at as leaders on their respective teams. Frankel certainly fits the bill as she too is in the discussion for the prestigious Patty Kazmaier Award, presented annually to the top women’s college hockey player in the nation. Frankel burst onto the scene as a freshman and has enjoyed continued success as a sophomore, helping Northeastern to the No. 3 spot in the country. Frankel recorded nine wins and five shutouts in her first 11 games of the season. During that time, she also carried a 1.17 goals-against average, second in the NCAA, and led the nation with a .957 save percentage. In October, Frankel, a native of Briarcliff Manor, New York, was named National Goaltender of the Month by the Women’s Hockey Commissioners Association. She won four of five October starts, allowing just four goals total, while posting a 0.80 goals-against average, a .968 save percentage and three shutouts. Frankel, who has been named Hockey East Defensive Player of the Week three times this season, recorded four shutouts in six starts and five in her first nine games. She became the first Northeastern goaltender since 2011 to shutout Boston University during a season-opening victory. Last season, Frankel led all NCAA freshmen goaltenders with a .934 save percentage, while posting a 10-8-2 record with a 1.92 goals-against average in 22 games. She enjoyed a strong finish to the season, winning six of her last nine games. Frankel, a former Shattuck-St. Mary’s School standout, was at her best during the Hockey East Tournament when she allowed five goals in four games. That included 30 saves against UConn, as Frankel backstopped Northeastern to its first Hockey East championship in program history. The Huskies advanced to the NCAA Tournament for the second time in program history. Frankel and the Huskies, ranked among the top programs in the nation, seek continued success among the national leaders this season. Story from Red Line Editorial, Inc. Photo courtesy of Jim Pierce/Northeastern Athletics.